For a long time after the war, reconstruction and supporting the industrial development were the only priorities to Austrians. Only in the late 1970ies, environmental movements gained momentum and the general awareness of pollution and other issues increased. Later, a Green party formed and a number of environmental laws were released to protect the nature of the nation. For this article I have listed the most burning environmental issues of Austria and attempts to solve them. Transit of cars and lorries has increased tremendously in the past decades. This is a particular problem in Tyrol and Salzburg, where some of the most important North-South routes between Italy and the North of Europe run. The increased mobility of Europeans and the opening of the formally communist countries in the East has contributed to transport related pollution. The traffic of the Brenner Mountain Pass, for instance, has rocketed from 600,000 vehicles per year in the early 1970ies to some 10 million vehicles per year only twenty years later. Since then, traffic has increased even more. In the valleys of Tyrol, so-called inversion weather situations (warm or cold air is trapped by a layer of air at a higher or lower temperature) are common and cause fumes to accumulate. Environmental groups and citizen movements (the traffic also creates noise disturbances, so much opposition against transit traffic is driven by that rather than environmental concerns) lobby for a more restrictive traffic policy for years. Since Austria has joined the EU, it has liberalised access to the nation′s highways. Alternative approaches are tunnel systems (there are proposals for extensive tunnels running all across Tyrol); traffic limitations (for example through higher road taxes); or public support of transportation of goods or vehicles on trains ("Piggy-Back Solution"). Industrial pollution has been a problem in Austria - much like in other Western countries - for a long time and can probably be traced back some 200 years. Drastic problems arose increasingly in the 1960ies, after the rapid economic development ("Wirtschaftswunder"). With this issue, Austria also faced problems due to its small size: industrialised areas of Eastern Europe had low or no environmental policy standards during communist days and still have a large potential for improvement. 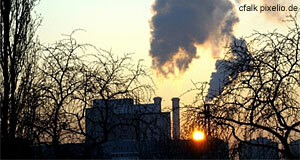 By 1990, about 37 percent of Austria′s forest had suffered damages from acid rain and other forms of pollution. Since then, the situation has improved with stricter environmental policies being enforced both domestically and in the countries of the former Soviet Union. A different issue was the Chernobyl incidence in 1989. Large amounts of radioactivity escaped from a nuclear power plant in today′s Ukraine. With the weather at that time turning to the West, an increased radioactivity was quickly detectable in Austria. By that time, the anti-nuclear lobby of Austria was already extremely aware of the dangers of radioactivity and one of their iconic victories was the closing of a new nuclear power plant in 1978 (Austria remains free of nuclear power plants until today). More than 20 years after Chernobyl, Austria is still among the most severely affected Western countries. Certain isotopes like Caesium-137 (half life about 30 years) are still enriched in Austrian soil with higher levels only in Scandinavia and Eastern Europe. Environmental organisations have repeatedly pointed out that there were no detailed surveys investigated an alleged increase in certain kinds of cancer in Austria. The intense use of Alpine terrain for skiing, hiking and agricultural purposes has left serious marks on the sensitive ecosystems of this area. Skis damage young trees and wide-spread hiking and mountain biking causes disturbances of the local fauna and damages to the soil and vegetation. The growth of villages has led to additional pollution, mostly due to vast crowds of tourists arriving every year in summer and winter. In some areas, there are 20 hotel beds per capita. This creates an ever-growing burden for the mountain regions. Agriculture is an even more critical issue. The alpine regions of Austria have been used for agriculture for centuries. Today, the sparse crops cannot provide a sustainable benefit and many farms survive only through financial subsidies by Austria or the European Union. Agriculture and the landscape in these areas is often interlinked and it can be difficult to anticipate the importance versus damage for existing ecosystems. Most of Austria′s landscape is shaped by agriculture and it is likely that in the future, decreases in the intensity of agricultural use will lead to significant alterations. Intense agriculture with the side-effects of heavy use of artificial fertilizers, mass production in husbandry and draining large areas had devastating effects in Austria in many areas. The 1970ies were probably worst, with the availability of means for industrialised agriculture and little environmental awareness. Today, the Austrian′s green spirit and financial support of the republic and the EU for environmental projects as well as National Parks has helped to re-naturalise entire regions. The global climate change has potentially damaging effects on the Austrian economy. With much of the Western provinces being highly dependent on snow in the winters, several warm years have recently shown how devastating these damages could be for the ski industries. Whereas individual winters are not a good basis drawing conclusions about a generally warmed up climate, the decrease in size of many glaciers can be traced over centuries. Ecologists and climate researchers are constantly warning of the dangers of global warming, which became quite visible in Austria. Austria with its sensitive Alpine ecosystems serves as a battleground from which many warning signs have been drawn. Among these are increases of avalanches, land slides and heavy rainfalls in the summer as well as reduced snowfall in the winter. Austria has a variety of environmental organisations and lobbies. The most active ones are often national branches of international organisations, which applies in particular to "Greenpeace". Organisations that are properly Austrian are "Global 2000" with a variety of environmental interests not dissimilar to Greenpeace. And "Transitforum Austria Tirol" which targets primarily the transit traffic across the Tyrolian Alps and concerned pollution. The party with the most clearly defined stand on environmental activities is traditionally the "Green" party, which developed from left-wing environmentalist movements in the late 1970ies and early 1980ies.